Facebook is very popular social networking site these days,many people use facebook and its various applications to remain connect their friends and share photos,images,videos,links and blog feeds.People also imports RSS feeds from external blogs or websites and share contents with their friends on their Facebook wall.When any new content updated or posted on that blogs or websites then Facebook notes automatically imports RSS feeds of the blogs, meaning – All the posts that are written on your blog were displayed on Facebook notes.If sometimees you don’t want to share blog feeds to your friends and you want to Hide, Remove or Stop Automatic Importing of RSS Feeds on Facebook. Then read our step by step guide below. 1. Go to top-right corner on your Facebook homepage and click on “Account”. 2. 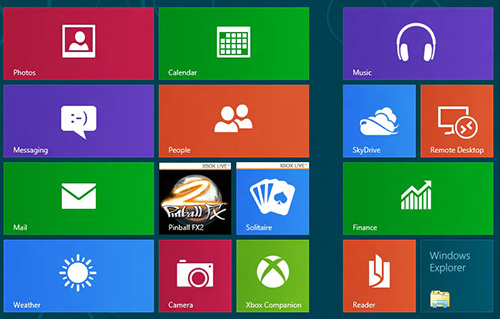 Then click on “Application Setting”. 3. 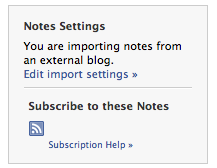 Click on “notes” . 5. 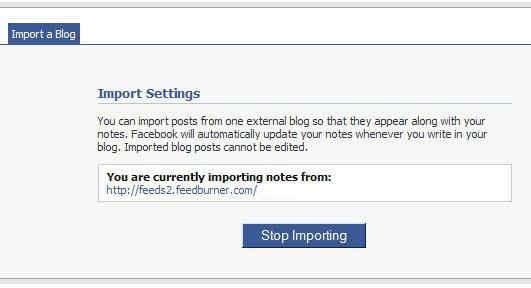 Now Click “Stop importing.” And your imported blog feed will be not imported on your facebook. 6. Go to top-right corner on your facebook homepage and click on “Account”. 7. Then click on “Application Setting”. 8. Click on “Edit Setting” . Hope now you have learn to Hide, Remove or Stop Automatic Importing of RSS Feeds on Facebook, please share this method to Automatic Importing of RSS Feeds on Facebook with your friends.